•Durable, bourbon brown, shoulder split cowhide. 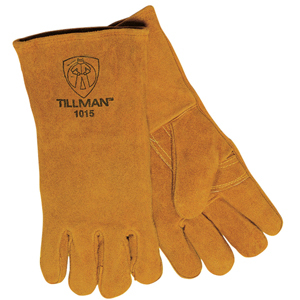 •Insulated with cotton/foam lining for added heat protection. •Locked stitched with Kevlar® thread for added strength.